My Spinach Bacon Salad is a family favorite recipe from my mom! 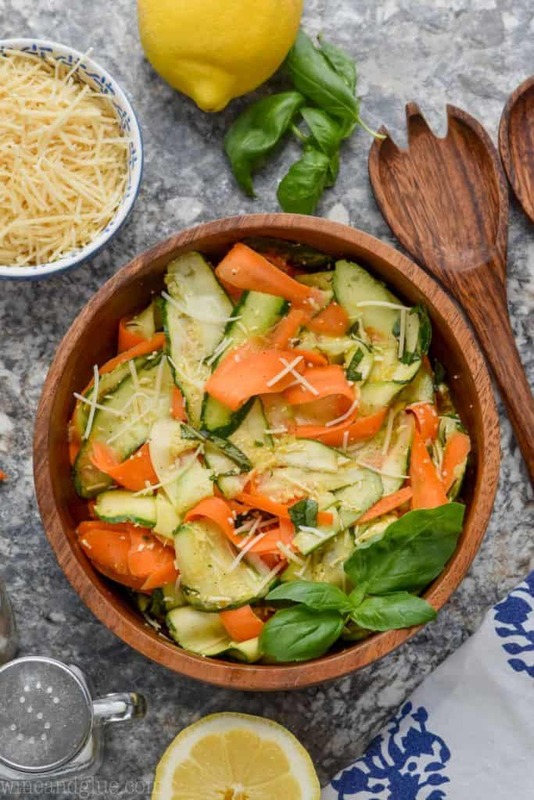 The perfect recipe for big family functions and summer BBQs. 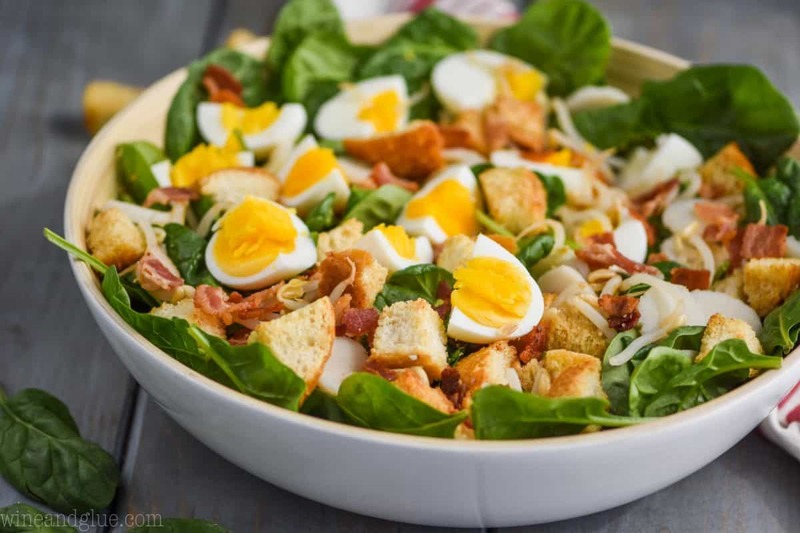 It is made with my delicious homemade croutons and of course hard boiled eggs. 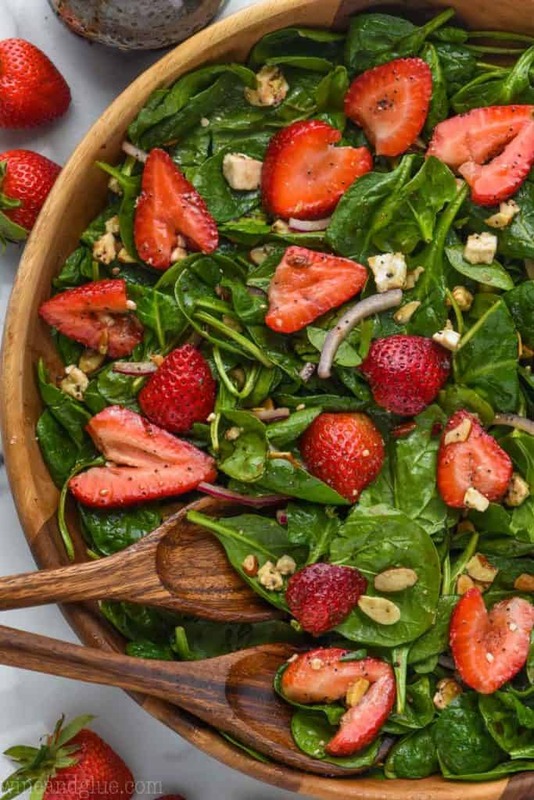 If you need another great spinach salad for summer make my Strawberry Spinach Salad. The struggle of motherhood is sometimes a little too real. For the record, our evening did in fact end in tears, and once again it was proven that mothers know all and see all. 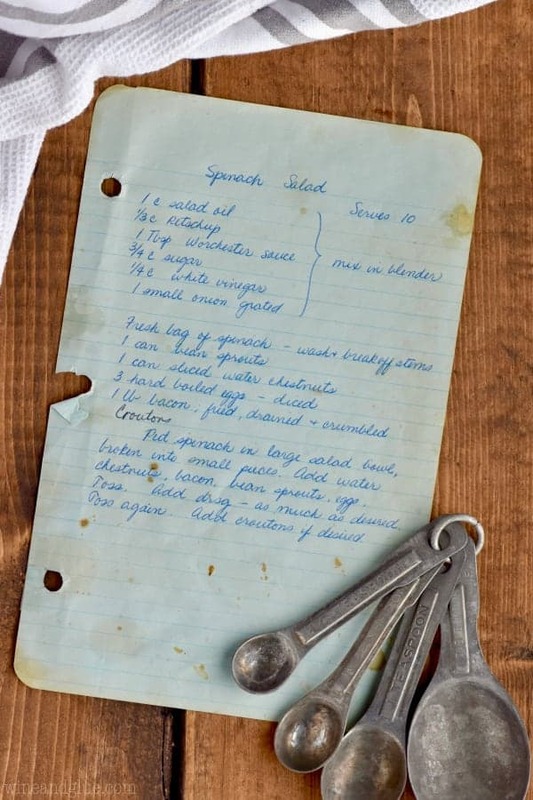 Another time my mom knew all was in the making of this amazing spinach salad. 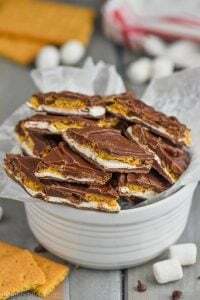 This is a family favorite recipe that I grew up on. 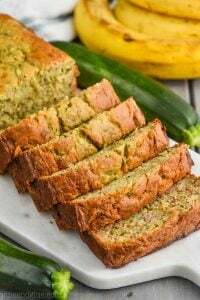 It was at all of our big family functions and became so synonymous with family holidays that after my mom passed away and I found this recipe in her cookbook, my sister in law was over joyed! She’d grown to love it too. My mom’s hand written recipe is below. You can tell it’s been well loved. I just love her hand writing. HOW DO YOU MAKE SPINACH SALAD TASTE GOOD? Well I’m so happy you asked. 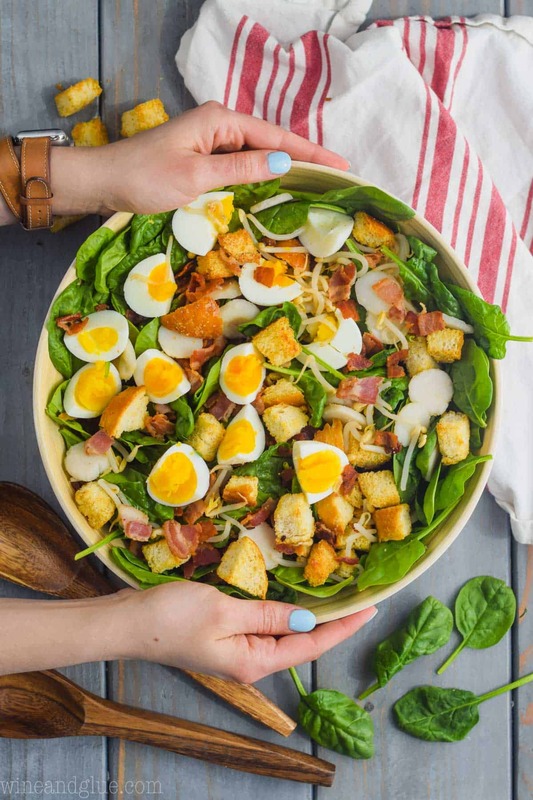 If you aren’t a big fan of spinach, I beg you to give this spinach bacon salad a go. The other ingredients that you add in combine perfectly. 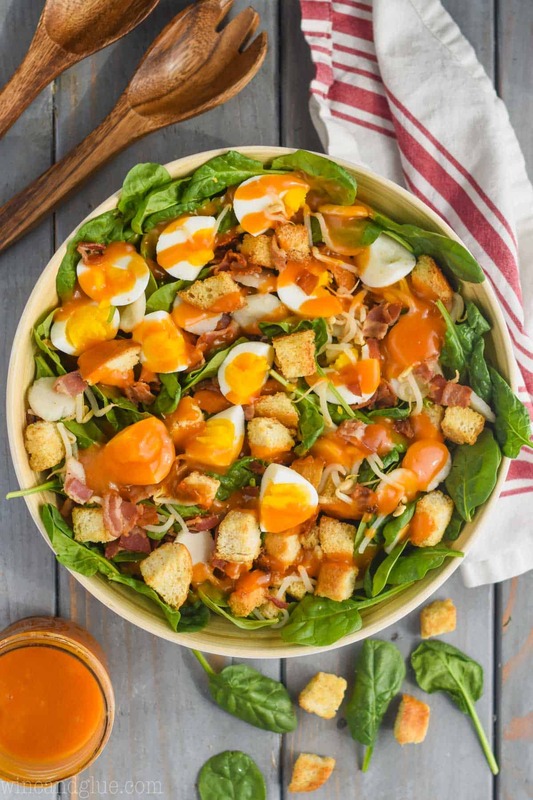 Then you top it with the most amazing spinach salad dressing that pulls it all together. My family always requests this at holidays and birthdays! Homemade Croutons – if you don’t feel like making them, buy some, but these are super easy to make and last for weeks! 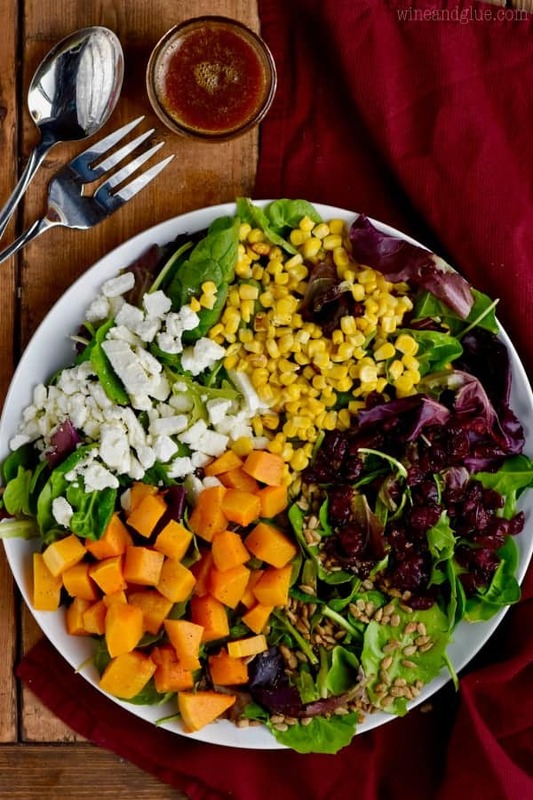 The dressing for this salad is pretty crucial. 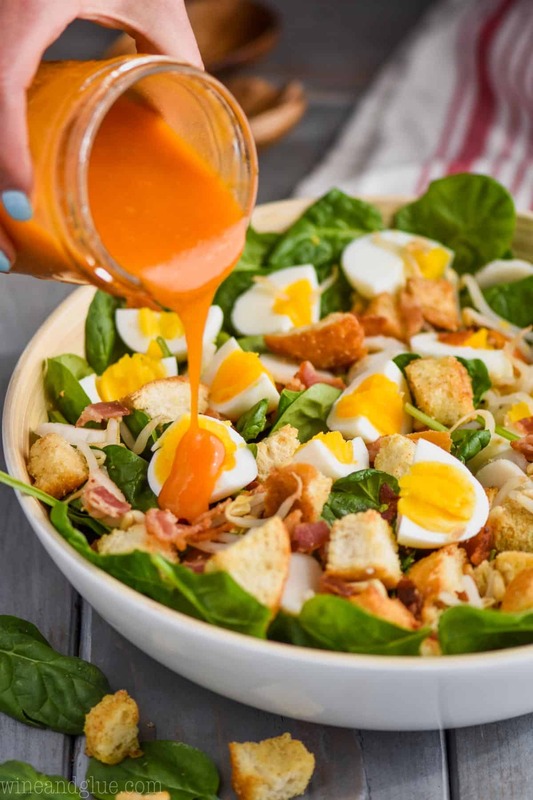 It is all the right flavor combinations to make this the perfect salad – it is the best spinach salad dressing! It is a combination of extra virgin olive oil, ketchup, Worcheschire sauce, sugar, vinegar, and a small onion. Seriously, this salad would not be what it is without this dressing. As noted in the recipe below, grating an onion can be annoying. 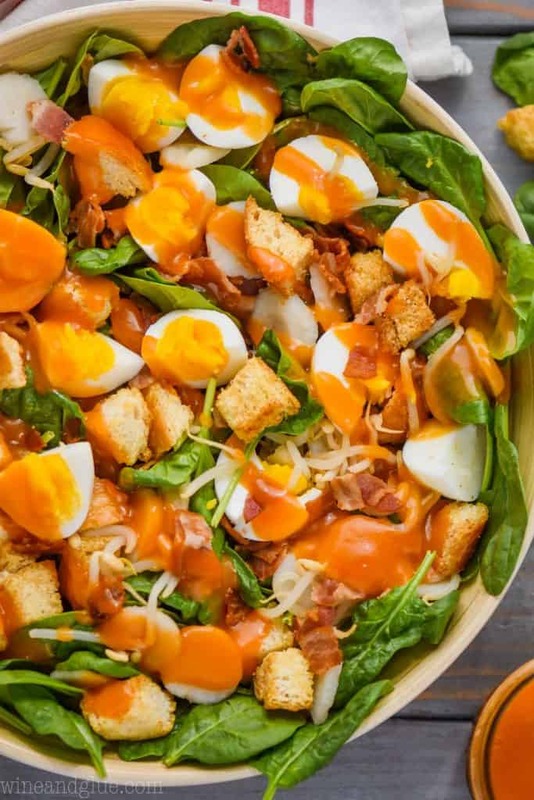 I would suggest dicing it, throwing it in a blender to cut it more fine, adding all the rest of the ingredients for the dressing, and then blending to combine. WHERE DO YOU FIND WATER CHESTNUTS AND BEAN SPROUTS? At my grocery store they are with the Asian food. Drain both well before adding them to the salad. If the bean sprouts make you nervous, just add a little, not the whole jar. But I really love them in this. And the water chestnuts add the most perfect crunch. 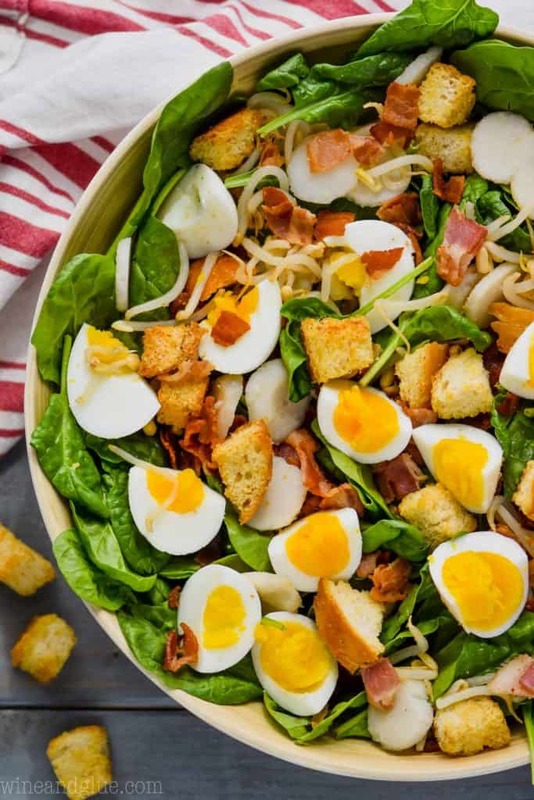 CAN I MAKE THIS SPINACH BACON SALAD AHEAD OF TIME? Yes! You can. I would suggest leaving out the croutons and leaving off the salad dressing. Toss the croutons in right before serving. Toss in a little spinach salad dressing and leave the rest on the side. CRAB PASTA SALAD Another of my mom’s recipes that makes a lot and is a crowd pleaser. SHRIMP PASTA SALAD My spin on the crab pasta salad with a few important changes. GREEK QUINOA SALAD A great option for a lighter recipe for a crowd. ITALIAN PINWHEELS These make a great party appetizer! 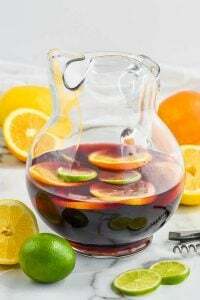 THREE INGREDIENT PINK PARTY PUNCH A great drink for the adults! CHERRY LIMEADE A perfect drink for the kiddos! My Spinach Bacon Salad is a family favorite recipe from my mom! The perfect recipe for big family functions and summer BBQs. 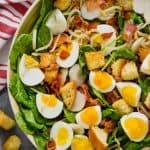 It is made with my delicious homemade croutons and of course hard boiled eggs. 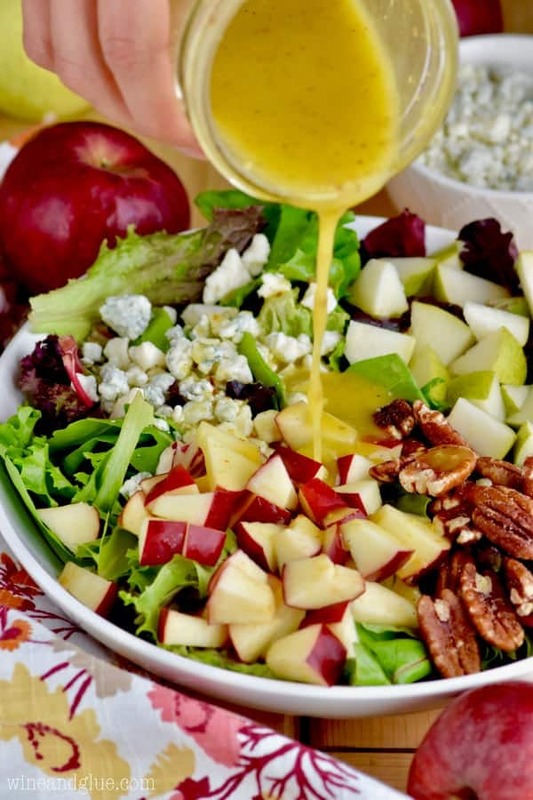 To make the salad dressing, combine all the ingredients in a blender, and blend until smooth. 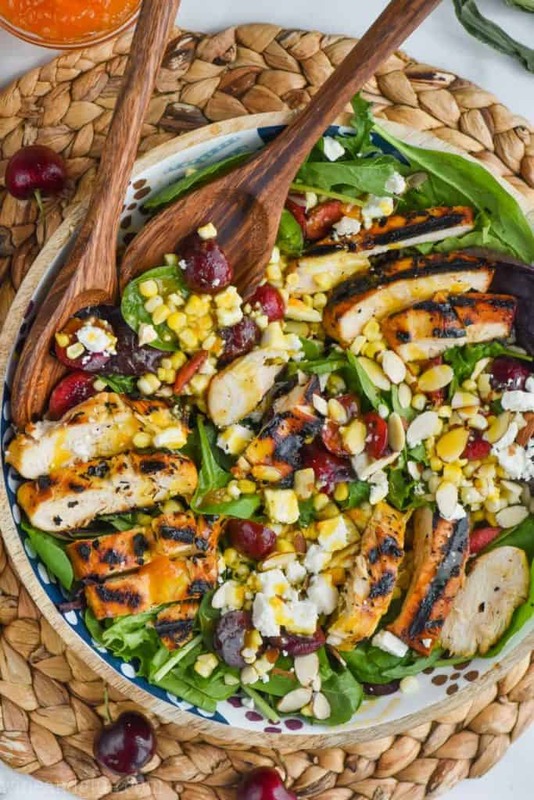 Toss all of the salad ingredients together in a large salad bowl. Either add a small amount of dressing and toss to combine (adding the croutons after the dressing), or serve the dressing on the side. Grating an onion can be time consuming and annoying. I find it easier to dice the onion small and then add it to a food processor to mince it smaller and then adding the remaining dressing ingredients and processing until smooth. 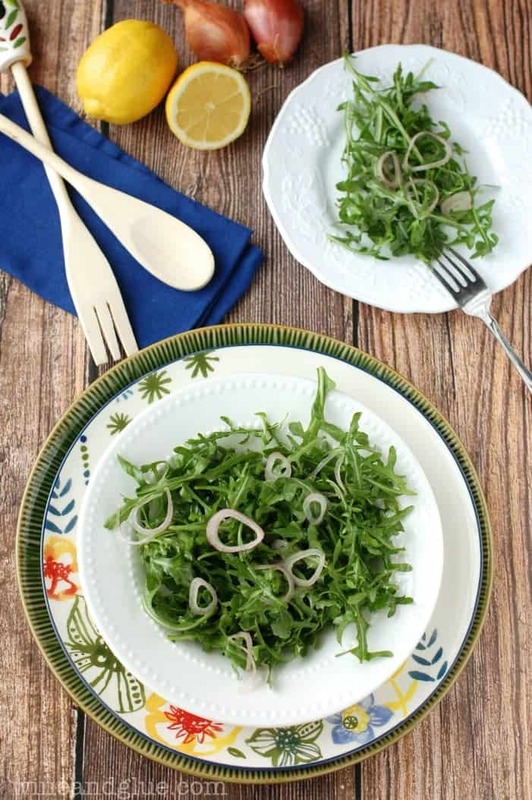 Other great salad recipes you are going to love! Your mom’s handwriting is gorgeous! And yes mothers know and see all – before it happens generally.